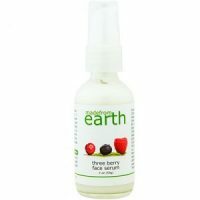 Made From Earth Three Berry Face Serum Review - Does It Work? In this review, we will be examining a product from Made From Earth called Three Berry Face Serum. 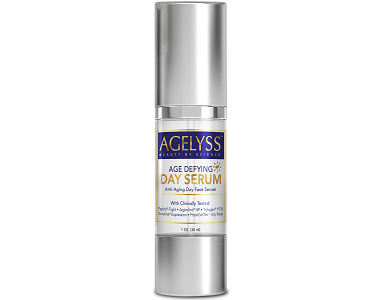 This day serum is a good option for individuals who notice premature aging and dry, damaged skin. According to the manufacturer, their product contains a variety of excellent ingredients that nourish and hydrate the skin. Additionally, the manufacturer of this product claims that their product will protect your skin from the harmful effects of free radicals in the environment. What’s In Made From Earth Three Berry Face Serum? When we first examined the ingredients included in this formula, we found that it could be an effective option for individuals who want to improve the condition of their skin. Several of these ingredients have excellent anti-inflammatory properties as well as being nourishing. However, we were concerned that the manufacturer does not state what concentration of the active ingredients was included in the formula. We always look for a product that contains at least five active ingredients. We also believe that it is important that there is a concentration of at least 10% of the active ingredients. 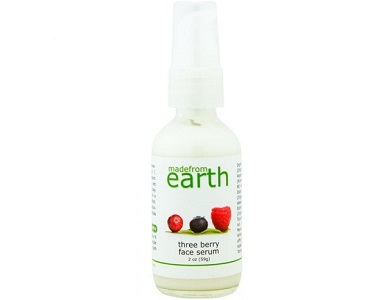 How Do You Use Made From Earth Three Berry Face Serum? The manufacturer of this product recommends that you gently massage this cream into the skin on your face and neck. They say you should focus on the areas of concern where you have more fine lines. Additionally, the manufacturer of this product recommends that you use this product before cleansing and toning in the morning and at night. However, we were alarmed to discover that this product is not available in an airtight pump bottle. You can buy this product directly from the manufacturer for $19.99 per bottle. The manufacturer also provides free shipping for items that have been bought on the manufacturer’s online store. Sadly, we were unable to find any discounts or special offers for bulk purchases. Sadly, we could not find any information on guarantees or returns policies for this product. This indicates that the manufacturer is not entirely confident with their product. Companies who offer guarantees are sure that their products serve their intended use. Fortunately, we were able to find a wide variety of positive reviews for this product, which was rather encouraging. In this review, we found that it is an acceptable product that may help to hydrate and nourish the skin on your face and neck. The manufacturer includes several excellent ingredients in their formula. Additionally, we were able to find a wide variety of customer reviews for this product, which seemed quite positive. However, we found quite a few concerning things when we completed our research for this product. We believe that this product lacks several of the key ingredients that we expect to find in a product like this it also does not contain a good concentration of the active ingredients. Additionally, we were alarmed to discover that this product is not available in an airtight pump bottle.